How to Grow Nails Faster and Stronger Naturally at Home! 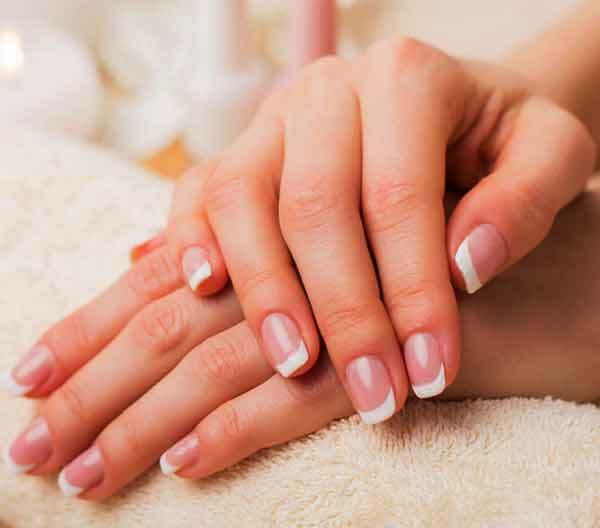 Not just limited to the people working in the fashion industries, growing nails has become a common tendency among the common masses nowadays. As a result, having longer fingernails now being considered as an inseparable part, especially to the youngsters. But the saddest part is- many of us still out there that are struggling with growing their nails long. If you are one of those fellow fashion enthusiasts dying hard to grow their nails but couldn’t help trimming them midway due to various issues, this post is exclusively for you. Here in this particular post, we are going to present you some proven ways to grow your nails faster and stronger naturally at home without shedding much effort. Let’s check them out in the following without delay! How to Grow Nails Faster and Stronger Naturally at Home? Well, if you badly want to grow your nails, you have to kick out the bad habits like biting the nails or using them as tools, at first! Besides, you have to ensure proper care of them at the same time. Here are some most effective handy home remedies you can try to grow your fingernails comparatively faster. Coconut Oil, though most popular for its magical result in growing healthy and shiny hair, it can contribute a lot to boost your nail growth too. It contains some healthy nutrients that provide the nails with proper moisture and nourishment required to grow faster. Besides, coconut oil also takes good care of the skin rounding the nails and helps to get rid of fungal infections. Warm coconut oil massage helps in improving blood circulation and facilitates faster nail growth as well. Like the coconut oil massage, olive oil can be another effective home ingredient to nourish your nails naturally. Yes, the presence of vitamin E in organic olive oil makes it an exquisite to promote nail growth. When it comes to removing the yellowness from the nails as well as adding shine to them, lemon juice stands out to be of the best use, for sure. Lemons are highly rich in vitamin C and contain some antioxidant properties as well. Altogether, lemon can be your good to go natural ingredient to grow your nail without using any chemical-based cosmetics. Besides, lemon juice helps to make the nail stronger too. Tomato is another most effective handy natural ingredient that can contribute to a great extent to promote the growth of your nails. It contains a considerable amount of biotin, an essential agent when it comes to growing your nails long. Apart from this vital ingredient, tomato also contains vitamin A and C that are very crucial for the natural growth of your nails. It is needless to describe the importance of grooming the nails regularly when it comes to promoting the natural growth of your nail. Moreover, grooming helps to keep them in shape and prevent breaking. Also, make sure to dry your nails thoroughly after each shower as wet nails tend to chip and break easily. Aggressive manicure and pedicure can be regarded as one of the most notable reasons why many of us fail to grow long nails. So, the next time you set out for manicure or pedicure, make sure to stop by a renowned professional salon to get the job done. In such cases, trying an organic nail extension system like SNS nails can be a decent option to try, for sure. You might not know but using harsh chemical-based nail enhancement products can make the nails weaker and affect the natural growth. As a result, you might end up with frustration and trimming up your nails short once again. However, if you badly need to enhance your nails to make it look sexier, as many of us think, opt for something that doesn’t include harsh chemicals to be on the safe side. Having healthy diets is also very important when you are planning to grow your fingernails naturally. Make sure to enlist milk, curds, eggs, chicken, etc. in your regular diet to achieve faster result when getting started with any of the natural nail hacks as stated above. Also, remember to drink plenty of water to keep your body and the skin hydrated. By the time you scrolled down to this section, we expect that you read between the lines and came to know about some of the most effects ways of growing fingernails naturally at home. Now, it’s your turn to get started with any of the tips which seems the most convenient for you. And, don’t forget to let us know which method you did try and how long did it take to achieve your desired result in the comment below. We hope the post was helpful and you enjoyed reading, as always!